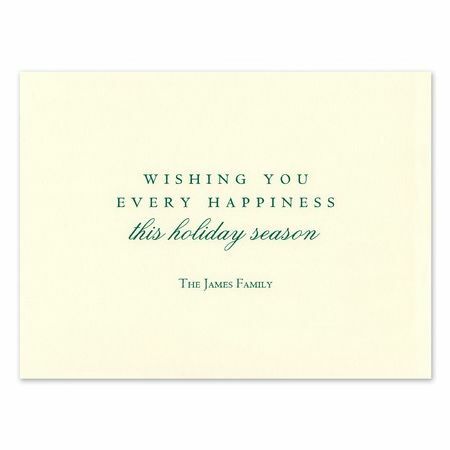 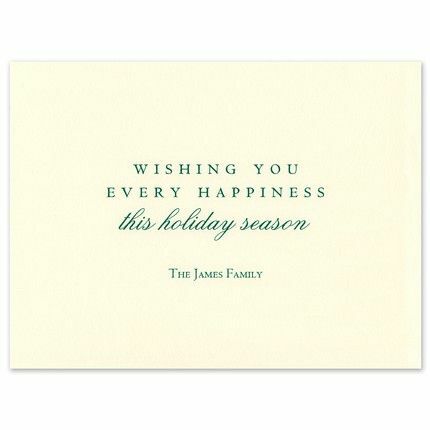 Spread holiday cheer with this traditional photo card. 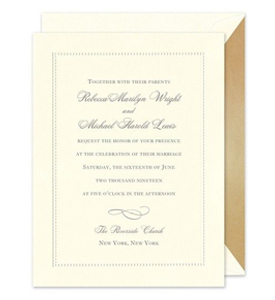 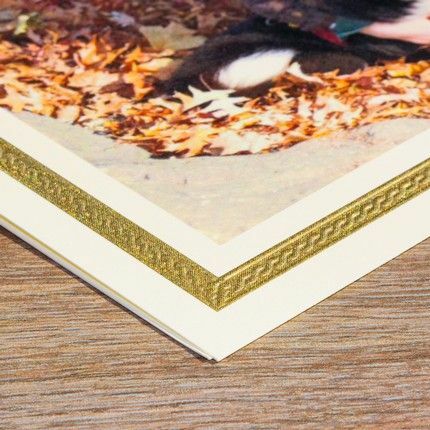 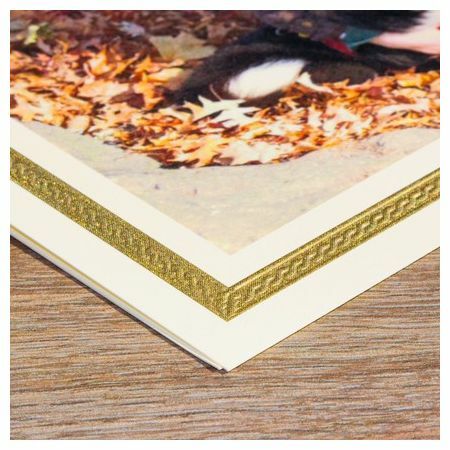 A gold border is engraved around the front flap, with room for you to adhere your photo with the included tape. 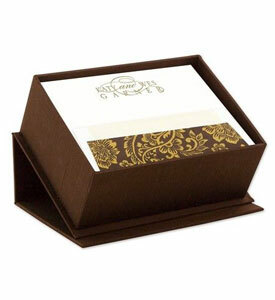 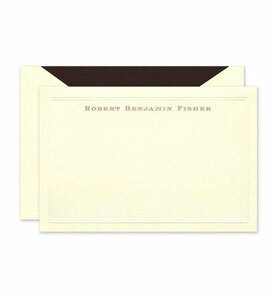 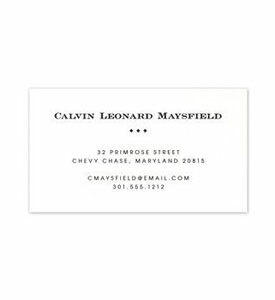 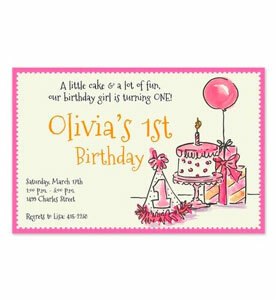 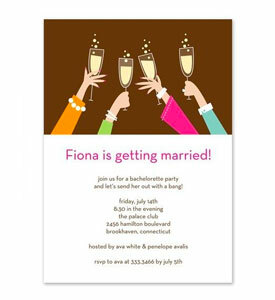 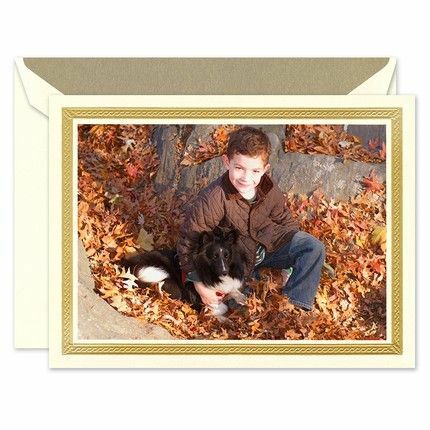 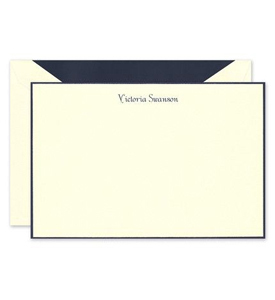 Customize your greeting on the inside of the card for a personalized touch.